First and foremost, CFI of Tampa Bay provides support, events, and activities for the nonreligious families in our area. Considering that our constituency is more than 14% of the population, approximately 400,000 Tampa Bay area residents, that gives us great opportunity to build up our secular humanist, atheist, and skeptics services and influence. We strive to promote reason, fact-based analysis, ethical alternatives to religion, and discussion of social or public policy issues. Discussion groups within our community, formal public lectures and events, and networking with audiences outside of our community are just a few of the ways we achieve these goals. Many of our community members are active in promoting and defending the secular humanist outlook. We also gladly collaborate with anyone who promotes and defends reason, democracy, human rights, and freedom of inquiry in the Tampa Bay area. We invite you to become a Friend of the Center by clicking here or by signing up at any of our events. The Council is North America’s leading organization for non-religious people. A not-for-profit educational corporation, the Council supports a wide range of activities to meet the needs of people who find meaning and value in life without looking to a religion. Its activities range from magazine publishing and campaigning on ethical issues to holding conferences and supporting a network of autonomous local groups. CSH publishes the respected Free Inquiry magazine. The aim of Free Inquiry is to promote and nurture the good life – life guided by reason and science, freed from the dogmas of god and state, inspired by compassion for fellow humans, and driven by the ideals of human freedom, happiness, and understanding. Free Inquiry is dedicated to seeing that one day all members of the human family thrive by embracing basic humanist principles. The Committee for Skeptical Inquiry is the science and skepticism arm of the Center for Inquiry. CSI promotes science and scientific inquiry, critical thinking, science education, and the use of reason in examining important issues. It encourages the critical investigation of controversial or extraordinary claims from a responsible, scientific point of view and disseminates factual information about the results of such inquiries to the scientific community, the media, and the public. CSI produces a bi-monthly magazine called the Skeptical Inquirer. Yes, those are my foundation’s goals. You will not be surprised to learn that my personal priority is science as one of the highest and most aesthetically rewarding achievements of the human spirit. The highly successful and acclaimed Teacher Institute for Evolutionary Science gives middle school teachers the tools they need to effectively teach evolution and answer its critics based on new Next Generation Science Standards. The following link takes you through an actual TIES Workshop. The focus of this example is on Florida’s middle school science standards on evolution. In their latest report, the National Center for Science Education gave Florida a grade of A for its science standards on evolution. Provocative, progressive and independent for 40 Years, Prometheus Books has more than 2,000 books in print, and produces an average of 110 new titles a year. Prometheus Books is committed to testing the boundaries of established thought and providing readers with thoughtful and authoritative books in a wide variety of categories. The leading publisher in popular science, philosophy, and critical thinking, Prometheus Books publishes intelligent nonfiction for the thoughtful lay reader, in categories such as social science, current events, true crime, business, history, philosophy, atheism, humanism, Islamic studies, religion, psychology, health and medicine, self-help, and more. Prometheus’s diverse catalog also includes hundreds of established classics in literature, philosophy, and the sciences. Since 1998, Prometheus Books has been building Humanity Books™, a scholarly imprint that publishes academic works of high quality across a wide spectrum of the humanities. Designed for scholars, students, and the educated public, it is committed to presenting cutting-edge research in philosophy (both analytic and continental philosophy); the history of philosophy; sociology; history; the history of science; political science; race, ethnicity, and gender studies; and classic works in Black Studies and Women’s Studies, among other disciplines. Seventh Street Books™, where fiction is a crime, is devoted to publishing quality mystery and thriller fiction. It is an imprint of Prometheus Books, an independent publisher of provocative and progressive nonfiction. Launched in October 2012, Seventh Street Books™ debuted with a diverse lineup of crime fiction that included the mystery in Paris break-out hit The Bookseller: The First Hugo Marston Novel; the ﬁrst of a critically-acclaimed police procedural trilogy set in Northern Ireland during the Troubles, The Cold Cold Ground; the literary-noir mystery within a mystery Hammett Unwritten; a newly-blind psychiatrist as an “expert witness” in a murder trial in Dante’s Wood; and a new line of Carolyn Hart classics. Our first legal thriller—the compelling debut novel Corrupt Practices—was published in June 2013. Living Without Religion. It’s really quite simple. So you don’t believe in gods? You are not alone. And yes, you can be good without God. Millions are. Thousands of your friends and neighbors in the Tampa Bay area feel the same as you. The Tampa Bay Coalition of Reason is a group of local organizations representing freethinkers, humanists, skeptics, atheists and agnostics that provide a sense of community and a central clearinghouse for the many like-minded groups in the greater Tampa Bay area. Please find our current Tampa Bay Newsletter here. Catch up on all the latest information and activities of the many partners of our coalition. and beliefs to guide their lives and their nations. The Center for Inquiry exists to change this situation. We are here to promote the scientific outlook, to expand the methods and values of science into all areas of human endeavor. We invite you to learn more about the ways we are using education, outreach, and activism to advance reason and human values around the world. Then, if these values are as important to you as they are to us, we ask you to join CFI. Let your voice be heard. With your help, we can ensure that our time—your time—will be a time of science and reason. By clicking on the “donate” button, below, you may become a Friend of the Center. Click and see what benefits you will receive as a member. But, for a freethinker, what one can do and give is what counts most, don’t you agree? In a cultural climate that has become so hostile to science and secularism, the work of CFI is more important than ever.  If you cherish rational thinking, science, and secular values, please join CFI today, and support your local Center for Inquiry-Tampa Bay all volunteer branch. ·Dispatches from the Culture Wars — Commentary on the endless dispute between evolution and creationism. ·Evolution Blog — Commentary on the endless dispute between evolution and creationism. ·Pharyngula Science Blog — Evolution, development, and random biological ejaculations from a godless liberal. ·Skeptical Inquirer Magazine — Examining claims of anything paranormal, pseudo-scientific …. ·Extensive information for secular families is available from the Internet Infidels.